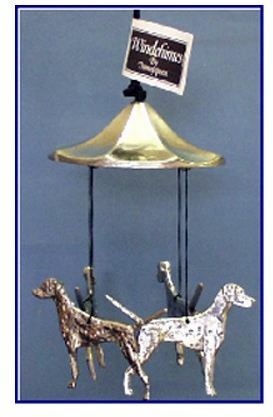 WINDCHIMES Four full -body dual-sided raised designs cast in hard metal with polished pewter-like finish. Durable beauty with great mellow tone. Each Dog Approx. 5.5×3.5"